A recently completed clinical trial looked at the effects of low-FODMAP dieting by analyzing Short Chain Fatty Acids (SCFA), pH and other qualities of stool. The data show that with less FODMAPs in the diet, there seemed to be less water and fermentable substances in the proximal colon, and less gastrointestinal distress in patients with IBS. This randomized controlled trial also demonstrated a reduction in concentration and proportion of luminal bifidobacteria after 4 weeks of fermentable carbohydrate restriction. Bifidobacteria? Isn't it one of the "friendliest" bacteria alleviating symptoms in IBS, by normalizing the ratio of an anti-inflammatory to proinflammatory cytokines? At least, as was shown for B.infanitis 35624 and B. animalis DN-173 010 in different studies. It looks like that the most effective species and the implications of diets on the gastrointestinal microbiota are still uncertain. After all, another study showed that even though IBS sufferers have lower amounts of Bifidobacteria than non-sufferers, those whose symptoms are less severe show even lower amounts of Bifidobacteria in their samples. I thought before that bifidobacteria was something that would prompt you to buy drugs online and have them eliminated. 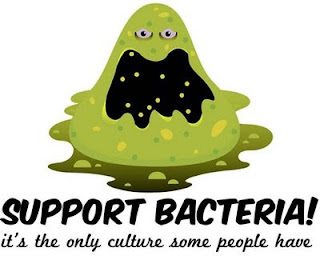 I didn't know they were "good" bacteria as well. I am a huge convert to probiotics. I hope everyone tries balancing their digestive system naturally with digestive enzymes. I sincerely encourage you to try this out. It's a natural way. Your immune system is based in the gut, so it's important to balance it naturally instead of pump it full of chemicals and toxins that the pharmaceutical companies tell you to trust. Please do give it a try! !